Today is my birthday (never mind what year), I’m off from work, and the entire Northeast seaboard is preparing for Hurricane Irene. (The Web Goddess snapped a picture this morning of the huge line of people at the local Home Depot, waiting for delivery of an undetermined number of portable generators, expected to arrive at an undetermined time.) So what’s on my mind on this Kirk-and-Irene-themed day? Libya, of course. Specifically, whether President Obama deserves any credit for what tentatively seems to be shaping up as a reasonably OK outcome in the war against Muammar Gadhafi. Not so fast. Assuming Gadhafi actually goes down, Obama’s policy may have “worked” in the narrow sense of deposing the tyrant — although that was not our stated goal. (As George Will aptly said, “In Libya, mission creep began before the mission did,” and remember that Obama pledged to turn over leadership of the effort “in a matter of days, not weeks.”) It remains to be seen whether America’s intervention will succeed in the category that should trump all others: advancing America’s interests. [I]f the Libyans fail to get their act together, and their nation becomes a failed state, make no mistake: For all the talk about how Libyans must determine their own future, a share of the blame for a negative outcome will come to rest in Washington, London and Paris. Having provided the support that enabled the rebels to prevail, the NATO powers, and the U.S. most of all, can hardly wash its hands of the country. The wisdom of Obama’s decision to intervene still rests in the balance. I’m obviously not opposed in principle to the use of military force by the United States. I’ve never stopped supporting the wars in Iraq and Afghanistan. But we can’t fix every problem everywhere, we’re stretched financially and militarily now, and I think the Libyan intervention was probably a mistake. But now that we’ve done it, I hope it’s successful. I don’t root for any American president to fail, especially not in his role as commander-in-chief. “Success” would mean Gadhafi goes quickly and gets replaced by a new tribe that’s at least marginally more democratic, and the U.S. gets disentangled in “weeks, not months,” to use a more realistic version of Obama’s timeline. It could happen that way, but I’m not optimistic. The hope for the timeline now has slipped still further, to “months, not years” — but I’m at least slightly more optimistic about the eventual outcome. I keep waiting for my opinion about the intervention in Libya to snap into place. For? Against? Too soon? Too late? But every time I try to pin it down, my mind flies off on a different tangent, enthralled by the bizarreness of it all. It was nearly three years ago that Senator Barack Obama won the Democratic nomination, in part on the strength of having the purest “surrender-at-any-cost” position on Iraq. Who then could have predicted the following headline: “Nobel Peace Prize Winner Enters Third War“? I blogged too quickly the other day about “Libya, Where the French Lead the Way” — although France fired the first shot, it quickly became a U.S.-led operation. Obama has pledged to hand over leadership of the mission “in a matter of days, not weeks” — but hand it over to whom? Britain and Italy want the alliance to be in charge of the operation, however. Rome has threatened to restrict access to its air bases, which are crucial to the mission, if NATO does not take over control. US Defense Secretary Robert Gates has suggested that Britain or France could also take control of the mission, but some NATO officials doubt if either country could handle the operation by itself, according to Reuters. The reason why neither President Obama nor his coalition partners in Britain and France can state a coherent goal for Libya is that none of them have any central interest in the outcome there. It is only when a nation has a clear vital interest that it can state a clear objective for war. They’ve all simply been carried away by their own rhetoric. Obama’s actions may be inconsistent with his prior record, but George Will’s opinions are consistent. Will is a conservative anti-hawk who opposed the surges in both Iraq and Afghanistan. Unsurprisingly, he thinks Libya is a bad idea, and I think he may be on more solid ground. In Libya, mission creep began before the mission did. A no-fly zone would not accomplish what Barack Obama calls “a well-defined goal,” the “protection of civilians.” So the no-fly zone immediately became protection for aircraft conducting combat operations against Gaddafi’s ground forces. America’s war aim is inseparable from — indeed, obviously is — destruction of that regime. So our purpose is to create a political vacuum, into which we hope — this is the “audacity of hope” as foreign policy — good things will spontaneously flow. But if Gaddafi cannot be beaten by the rebels, are we prepared to supply their military deficiencies? And if the decapitation of his regime produces what the removal of Saddam Hussein did — bloody chaos — what then are our responsibilities regarding the tribal vendettas we may have unleashed? How long are we prepared to police the partitioning of Libya? 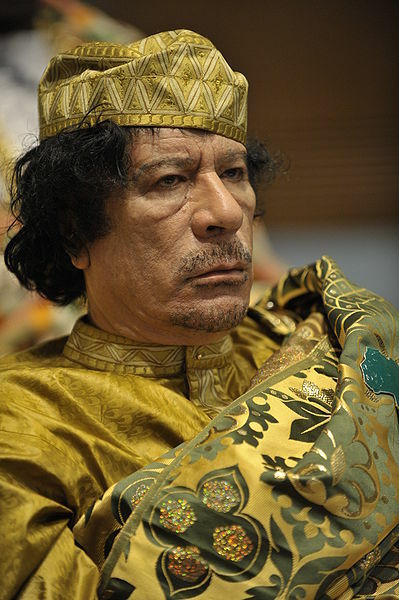 Back in February when the Libyan revolution was fresh and had momentum on its side, even a small intervention by the U.S. — say, blowing up the runways at Moammar Kadafi’s military airbases or quietly bribing senior military officers — might have toppled Kadafi. Members of his government were resigning en masse. Pilots were refusing orders to kill fellow Libyans. Soldiers were defecting to the rebels. Libyan citizens openly defied the regime in Tripoli. Nearly everyone thought the madman’s time was up. That was the time to seize the moment, to give Kadafi a shove when he was already off-balance. If the dictator had been toppled when the rebels were gaining strength, America’s support would have been written off as incidental, with the Libyans taking credit for their own revolution. But such an approach would have required America to run down the court alone, out ahead of its allies and the international community. For Obama the multilateralist, that would have been too much unilateral hot-dogging. So Obama slowed things down to set up the play he wanted rather than the play the moment demanded. As a result, Kadafi regained his balance. My difficulty in pinning down how I feel about the Libya intervention stems from being flabbergasted that we’re in the situation at all. But let me take a shot at it. Those Americans who know which Republican will win next year’s Iowa caucuses can complain about those who did not know that when a Tunisian street vendor set himself on fire, he would set a region afire. From all other Americans, forbearance would be seemly. It also would be amazing, because there is a cottage industry of Barack Obama critics who, not content with monitoring his myriad mistakes in domestic policies, insist that there must be a seamless connection of those with his foreign policy. Strangely, these critics, who correctly doubt the propriety and capacity of the U.S. government controlling our complex society, simultaneously fault the government for not having vast competence to shape the destinies of other societies. There are plenty of good and valid reasons to be critical of the Obama administration. But blaming Obama for Egypt is no more valid than the contention that somehow President Bush should have prevented 9/11. 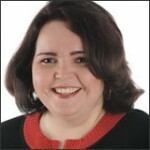 One of the two hardest-working, conservative, female bloggers (how’s that for a micro-niche?) packed up her pixels and migrated to a new cyber-home this week, where she’ll have a chance to build a much bigger audience. There are two group blogs that I visit every every day: “Contentions” at Commentary Magazine’s website, and “The Corner” at National Review Online. Each site has a handful of steady conservative bloggers who, collectively, can be counted on to serve up something topical and thought-provoking on a daily basis. 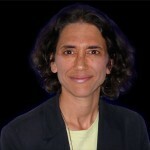 Each has been dominated by a prolific female blogger: Jennifer Rubin at Contentions and Kathryn Lopez (“K-Lo”) at The Corner. Their writing is informed and shaped in part by their religious backgrounds (Jewish and Catholic, respectively). Rubin in particular amazes me with her output. I struggle to post on my blog more than once or twice a week, and every post seems to turn into a three hour project. Yes, I have a full-time job, whereas blogging is her full-time job. But Rubin can write faster than I can type — she posts substantial, well-researched essays several times a day. I’ve quoted her at length several times, including here and here. On the Washington Post homepage today I noticed a link reading “New blog: Right Turn by Jennifer Rubin.” How about that, I thought — there’s another blogger named Jennifer Rubin, and it looks like she may be a righty. But of course it’s the same person… somehow I had missed her farewell post at Contentions on Tuesday. She now joins George Will and Charles Krauthammer as another good reason to check in on the WaPo regularly. The difference is, those guys produce one (Krauthammer) or two (Will) columns a week. Rubin has posted 20 times since her inaugural missive on Tuesday. I’ll always have a fond spot in my heart for K-Lo as well. This blog’s first significant traffic spike came at her expense. If she noticed me at the time, I hope she’s not still upset. There will be subsidized health insurance for families of four earning up to $88,200 a year, a ceiling certain to be raised, repeatedly. The accounting legerdemain spun to make this seem affordable — e.g., cuts (to Medicare) and taxes (on high-value insurance plans) that will never happen — is Enronesque. As America’s teetering tower of unkeepable promises grows, so does the weight of government, in taxes and mandates that limit investments and discourage job creation. America’s dynamism, and hence upward social mobility, will slow, as the economy becomes what the party of government wants it to be — increasingly dependent on government-created demand. Promoting dependency is the Democratic Party’s vocation. The party knows that almost all entitlements are forever, and those that are not — e.g., the lifetime eligibility for welfare, repealed in 1996 — are not for the middle class. Democrats believe, plausibly, that middle-class entitlements are instantly addictive and, because there is no known detoxification, that class, when facing future choices between trimming entitlements or increasing taxes, will choose the latter. The taxes will disproportionately burden high earners, thereby tightening the noose of society’s dependency on government for investments and job creation. Eventually, of course, the government will run out of other people’s money. I shudder to think about the wrenching realignment that will be required then. 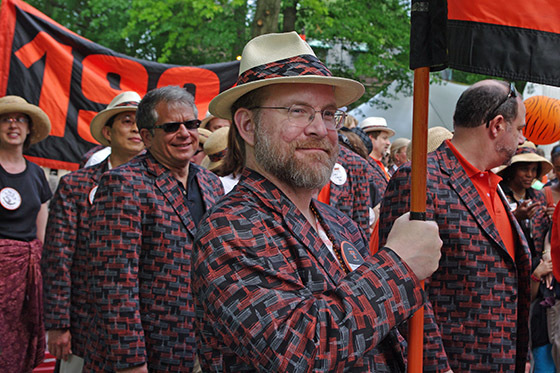 The Class of 1980 has what counts as a muted and tasteful class costume, by Princeton standards, with line drawings of Nassau Hall as design elements. Today I had the high privilege and distinct honor of fighting the wind with the parade banner for the Princeton Class of 1980, leading a hardy band of quintagenerians in an off-year reunion march at the “Best Damn Place of All,” in the words of the song. When asked which side of the banner I would like to hold, I promptly said “I should have the right,” as the lovely Web Goddess rolled her Obama-supporting eyes. The P-rade is an annual pilgrimage for me — since graduation I have never lived more than an hour away from campus, and while I haven’t made it back every year, I’m sure I’ve been to more than 20 of my 29 reunions. After the P-rade I always swing by The Daily Princetonian picnic, but this year I was disappointed at not finding any of the folks I worked with when I got my start as a writer. I did see an old Princetonian friend earlier in the day, when Joel Achenbach ’82 ably moderated a panel titled “Money, Greed and the Economy: Views from the Fourth Estate.” In addition to his day job as a reporter and columnist at the Washington Post, Joel is the Chairman of the Advisory Board of the Princeton Alumni Weekly, which sponsored the panel, and where I got one of my first actual paychecks as a freelance (I repurposed my Junior Paper about the arrival of casino gambling in Atlantic City, I think I got $100 for the article, which never ran). The panel featured George F. Will *68 (the asterisk indicating a graduate degree) as the headliner. The advance program advertised Katrina vanden Heuvel ’81, editor of The Nation; she was a no-show, but the Obstreperous Lefty chair was ably filled by Josh Marshall ’91 of Talking Points Memo, who seemed to take delight in sniping at George Will. After accusing Will of having “an ideological stake” in what he was saying — pot, meet kettle — he boasted that he was “the only business owner on the panel, I meet a payroll, I don’t just write a column.” Will replied mildly that his GFW Inc. meets a payroll — it appears to have six employees. The discussion was interesting — Will got a laugh when he said the press generally has not focused on the “300 million real culprits” behind the economic collapse. Peter Slevin ’78, the Washington Post’s Chicago bureau chief, told of interviewing people with $25,000 salaries who had $400,000 mortgages, as part of a lively discussion on personal responsibility and perverse banking incentives. All in all, a long and tiring day, under beautiful blue skies, low humidity, and a nice breeze that I enjoyed once I stopped carrying the banner. 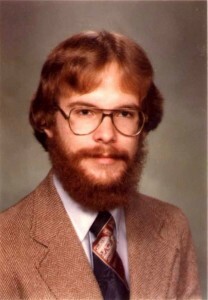 Next year is my 30th reunion, and there will be more classmates in attendance. I’ve heard it said that no other university in the country makes as big a deal about reunions as Princeton, and I think that may well be true.